...and they're not done yet. Richard Pitino said Minnesota did not play an intelligent game: "We played really poor defense in the second half." This is in gamer but MINN had scored at least 80 points in each of last four games. Gophers' season-low was 47. Pitino: It's hard for us to score when we are in that type of foul trouble. Noted this yesterday, but I think this will loosen pressure cap as victory over MSU did last season. The #Badgers went 6 of 16 from the line and 14 of 31 in the paint. Didn't matter because they went 8 of 10 from 3-point range in 2nd half. #Badgers seniors: 46 points, 17 rebounds, 7 assists, 4 steals and 3 blocks. 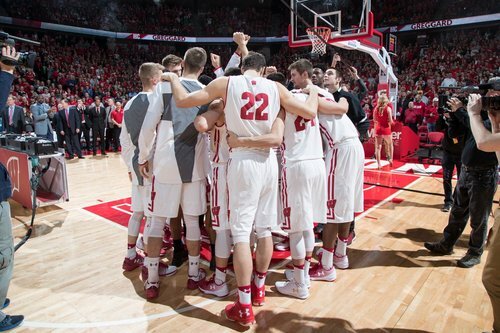 Wisconsin's four-man senior class combined for 46 of the Badgers' 66 points, including 29 of 39 in second half. Gard said: I thought we were pretty good for most of the game, but I thought the second half we were terrific ... That was us. 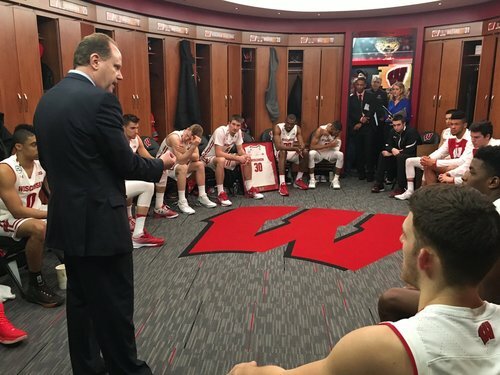 Greg Gard said: "It's been a rough two weeks, but I couldn't be prouder of the 17 young men." "It's been a rough two weeks, but I couldn't be more proud of a group of 17 young men. Hopefully now we'll keep growing." #Badgers Gard on his team's defense: That was us. That was us. That is in our DNA. #Badgers Gard said the defense was as good as he has seen it in a long time. #Badgers Gard: There were just countless contributions. It was fun to watch. #Badgers Gard noted that Brown was active on both ends. "He smiled." #Badgers Gard on Koenig sitting in first half. "I knew he'd be fresh in the second half." Saluted Trice for filling in. Gard said he was going to Koenig back in the game in the first half, but Trice's play convinced him to keep Koenig on the bench and fresh. #Badgers Trice had 2 turnovers but was solid: 8 pts, 2 assists and three steals. Oh by the way... the #Badgers win was a double pizza bet winner. @JonAriasRadio and I win...@DrewOlsonMKE lost--again!!! 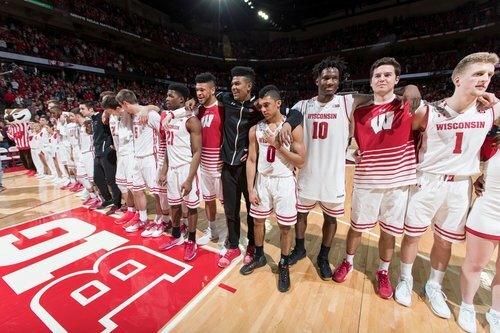 Safe to say Bronson Koenig went out in style in his last game at the Kohl Center. Michigan up big on NEB in first half. If that holds, #Badgers face winner of IU-Iowa in FRI quarterfinals. Koenig said it was a little disheartening to pick up the two quick fouls on senior night: I thought guys did a great job of picking me up. Last postgame press conference at the Kohl Center. 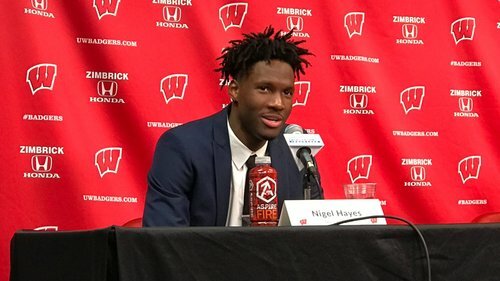 Nigel Hayes made sure he dressed for the occasion. #Badgers Brown jokes players never gave up even when team wasn't playing like trash/garbage. ???? Koenig: I thought we had more fun this game than we did in a long time. We didn't let anything get to us. #Badgers Gard noted he almost put Koenig back in in 1st half despite 2 fouls. But UW stayed close so he kept him out. #Badgers Gard on holding BK out and rolling with Trice in first half. "I trust him completely." Greg Gard: It cures a lot of ills when the ball goes in, but defensively that's as good as we've been in a long time.